I want to write that I will update my blog more often this year… But let’s not fool anyone. It probably won’t happen. But one can wish! I spend my Christmas holiday together with my family at my parents’ place and then some at Akke’s parents. Yummy food and cozy atmosphere it was! After Christmas we took the train northeast to our best friends (GamingGrannar) where we played around for a couple of days. We also celebrated New Year’s there with dinner, games and party. A perfect New Year’s! Thanks to EKKen I also had a very nice hairstyle during New Year’s Eve, I’m very grateful for that! Everytime we go to our friends there we try to finish at least one game and this time I wished for it to be StarTropics. I have wonderful memories of playing this adventure game with my brother and sister, and I still regard it as one of my absolute favourites on the 8-bit. After finishing it we started playing the sequel and it looks promising. The gameplay is quite different comparing to its predecessor, not necessarily in a bad way though. Some things I like better, others I don’t. But it’s a well-made sequel, can’t argue with that. We also did other stuff during December: Me and Akke went to “Christmas at Liseberg” (Liseberg is a famous amusement park in Sweden) and had a really nice time. It’s really beautiful there during the evening, with lots of small lights. In addition we had a small party with Akke’s sister, colleagues and other friends on one of the days between Chistmas and New Year’s. And the day after we went to my sister’s place to celebrate her husband’s birthday. So yes, it was a lot of fun events this past month! Last weekend this year’s Gamex (big game expo in Stockholm) finally opened its doors. This is like the only event a year where we get the chance to hang out with most of our gaming friends we got to know during the last decade, so we are always looking forward to it. As expected, it was a great weekend. A friend of ours also organized a get-together event at a bar Friday night, which was awesome (thanks Angelica!). Skylanders was popular among the younger ones. 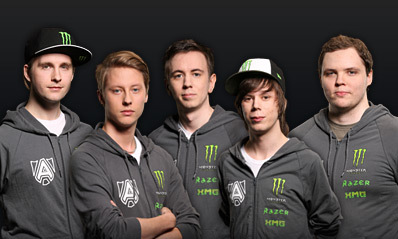 Got a bit of DreamHack feeling here. People having fun playing Just Dance. At Gamex we checked out a bunch of different games and I’m especially impressed with the Swedish indie scene this year: Grief (TarHead Studio), CoBots (Digital Tuna Games) and Secrets of Grindea (Pixel Ferrets) are some of the indie games that look very promising. Many people showed up at the get-together! My two beloved ones (Akke and EKKen)! Considering PlayStation 4 and Xbox One, Akke and I decided that we’re going to buy a PS4 after trying both consoles, solely because of the announced games so far. Games like Resogun and Contrast are more appealing to us than the games that was shown on the Xbox One. Some guys challenging Akke on the Wii U. A table for the creative ones. The cosplay competition’s top three. The Warhammer costume is simply stunning. I also played the Final Fantasy 13: Lightning Returns demo and since I liked it a lot I decided to enter the demo competition. The one with the best completion time won the game and a really cool Play Arts Kai figure of Lightning. And I ended up doing it! It made me very happy, especially since I like the other two FF13 games a lot. 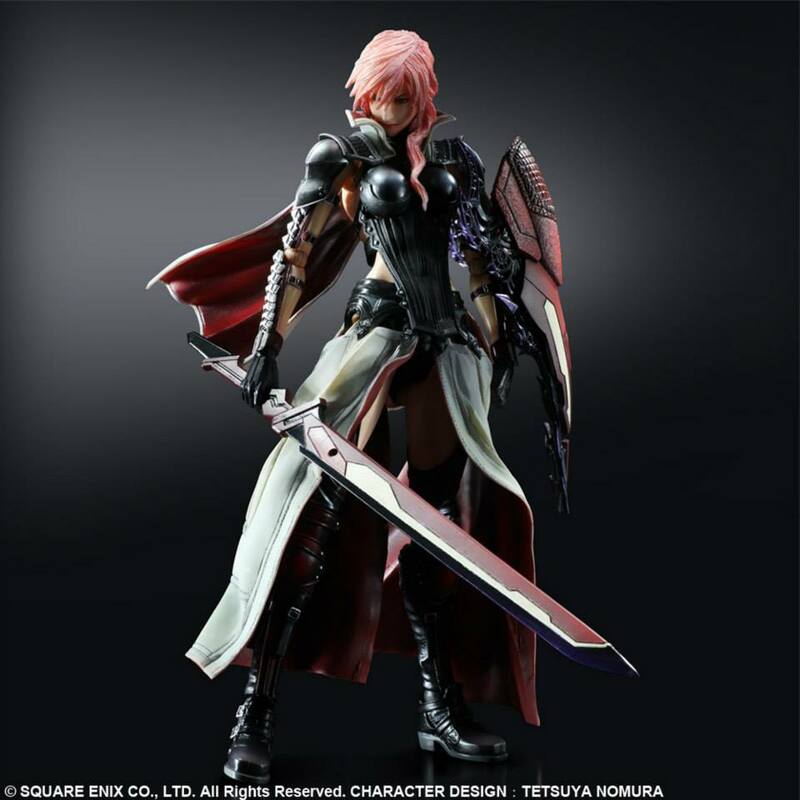 Lightning is also one of my favourite Final Fantasy characters so a quality figure of her is really nice. Now I’ll just have to wait for the release next year (14th of February)! Akke posing with a Dark Souls 2 knight and Lightning. 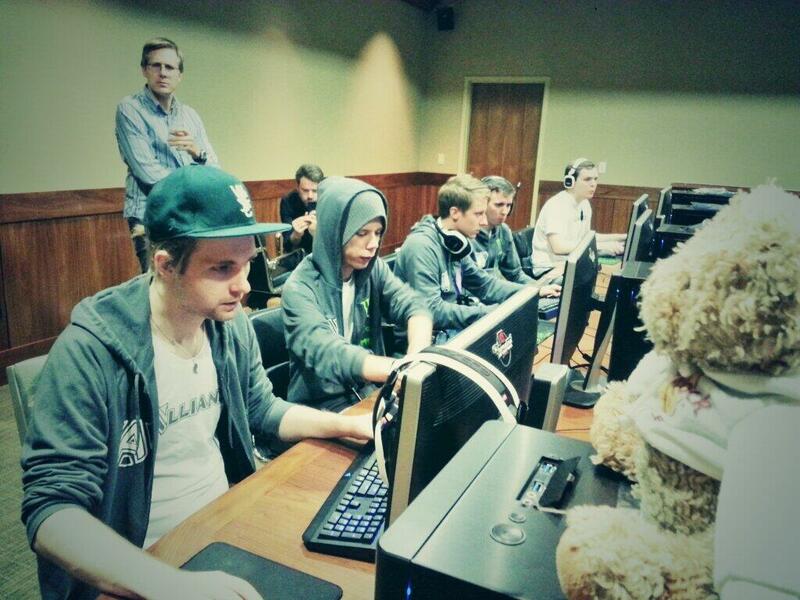 Akke supporting me during demo prac! How about some 84″ Ultra HD awesomeness? Anyway, thank you for this time Gamex! Was a great weekend. I missed Nintendo though, so I hope they will be able to join next year. Akke posing by a “golden” tree. A cute and quirky entrance. The air is so fresh too, in addition to the wonderful smell of pine tree! Autumn is nice indeed. I haven’t forgotten about you even though it seems like it. When Akke came home from TI3 we were busy for weeks moving to a new apartment. Now we’re almost settled and I’m going to take some pics of our new home and upload it here soon, just need to clean up a bit and get some stuff up on the walls first. Otherwise nothing exciting is happening at the moment but I have some events to look forward to this autumn, namely Gamex (game expo in Stockholm) and DreamHack Winter. Tons of fun incoming! This was an extremely short post but just wanted to say I haven’t forgotten about the blog and the next post will (hopefully) be a lot more fun with pics from the apartment and such!